The all new 2018 Skeeter Solera™ 205 is packed with more power than it’s little sister, the Solera™ 189, and is sure to make some waves. 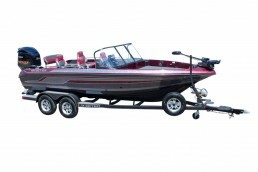 The Solera™ 205 is a 20’ family fun machine that comes loaded with standard features from bow to stern. 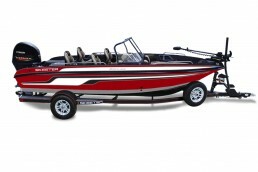 The new Skeeter Built™ Trailer with exclusive limited lifetime warranty will get you to and from the lake safely. Fisherman will appreciate the Humminbird® Helix® 7 graph and Minn Kota® Terrova® IP 112. You can quickly setup the ski tow pylon to give the kids some excitement on the water and the bow cushions provide a comfortable place to relax and soak up some rays. Whether fishing, tubing or cruising, the multipurpose design of the Solera™ 205 can handle it all!